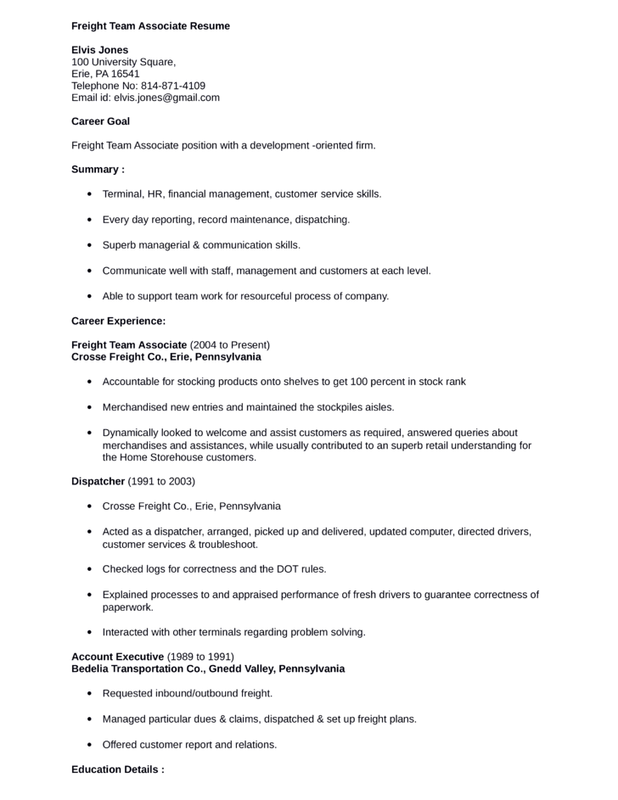 Freight Team Associate position with a development -oriented firm.  Terminal, HR, financial management, customer service skills.  Every day reporting, record maintenance, dispatching.  Superb managerial & communication skills.  Communicate well with staff, management and customers at each level.  Able to support team work for resourceful process of company.  Merchandised new entries and maintained the stockpiles aisles.  Checked logs for correctness and the DOT rules.  Interacted with other terminals regarding problem solving.  Managed particular dues & claims, dispatched & set up freight plans.  Offered customer report and relations.